Detail of the report's cover. In the half-century since the Kerner Commission’s report on urban unrest, South Los Angeles has experienced little economic progress, according to a new study by the Center for Neighborhood Knowledge, part of UCLA Luskin. 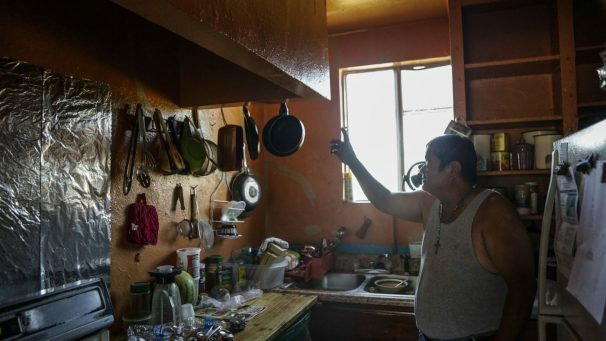 “This report is a sobering snapshot of the inequalities that have persisted in South Los Angeles 50 years since the 1968 report,” said Paul Ong, director of the Center for Neighborhood Knowledge. Disparities in earnings are the main driver of income inequality. Earnings are critical in overall quality of life — low earnings can translate into less access to necessities, amenities, and opportunities. South Los Angeles is home to 722,000 persons, and epitomizes the plight of inner-city neighborhoods. It is the site where frustrations of a marginalized and neglected community boiled over in 1965 Watts riots and 1992 civil unrest. These reactions to the lack of progress should not have been unexpected given the realities documented by this CNK report. Car ownership is critical in Los Angeles where, despite large investments in public transit, lacking a car can severely limit one’s access to job and educational opportunities. Availability of cars within households has improved over time; nonetheless, households in South LA are twice as likely to lack a car, according to the study. South LA residents remain three times as likely to rely on public transit for commuting. This project was supported by the following partners: the Haynes Foundation, the Institute on Inequality and Democracy at UCLA Luskin, the UCLA Lewis Center, the UCLA Office of Equity, Diversity, and Inclusion, the UCLA Luskin Center for History and Policy, the UCLA Institute for Research on Labor and Employment, Professor Manisha Shah, and the UCLA Asian American Studies Center. A new report by UCLA Luskin researchers finds that despite initiatives launched by community groups, foundations and governmental agencies in the aftermath of the 1992 Los Angeles riots, little has changed economically within the city’s most-damaged areas. It has been 25 years since the tumultuous events that followed the acquittal of LAPD officers in the beating of Rodney King. 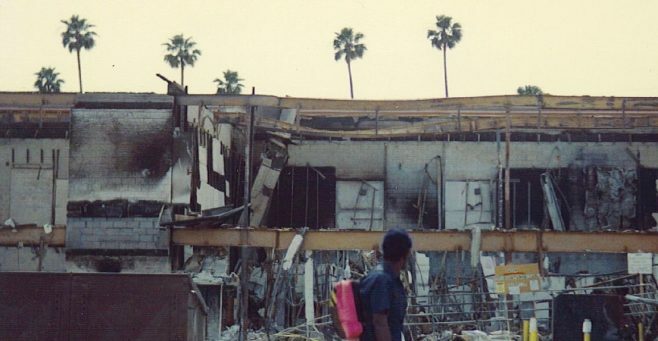 In addition to more than 50 people who died and thousands of arrests, there was an estimated more than $1 billion in damage in and around South Los Angeles during the days-long riots, which garnered worldwide attention. “By and large, these areas have not gotten better; in some instances, they have actually gotten worse,” said Paul Ong, director of the UCLA Center for Neighborhood Knowledge (CNK), who led a research team in assessing the condition of these areas over 25 years. The CNK is based at the UCLA Luskin School of Public Affairs. 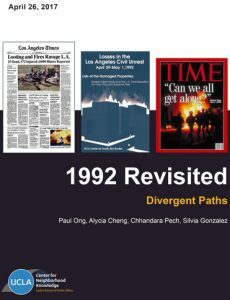 Ong said the team examined demographic and economic data related to the area of the Rebuild L.A. program boundaries that were drawn up in 1992 in the aftermath of the civil unrest. These were based in part on curfew boundaries from the Watts riots in 1965, said Ong, also a professor of urban planning and social welfare in the UCLA Luskin School of Public Affairs. The study is based on analysis of multiple data sources, and the researchers conducted separate analyses for six sub-regions. The work required extensive efforts to reconcile changes in census boundaries during the past two-and-a-half decades to ensure accurate statistics. The report, which was co-sponsored by the UCLA Institute for Research on Labor and Employment, shows that with the exception of the northeast section of South Los Angeles, unemployment and poverty have worsened in the remaining areas — traditionally among the most disadvantaged areas of the city. In these areas, Ong said he suspects that “bigger forces were working against them,” such as lingering effects of the recession and growing inequality, which has affected L.A. County in general. According to the report, per capita retail sales in these areas have fallen, due in part to a relative paucity of larger retailers in the area. The team also noted that in 1992 South Los Angeles was predominantly African-American but is now home to Hispanics in higher proportions. Ong said the study is unique in compiling statistics from three sources: the Los Angeles Department of Building and Safety, the Korea Central Daily newspaper in Los Angeles and the California Department of Insurance. This information showed that all areas were not affected equally. The data focuses on communities in which organizations seeking to improve neighborhoods have energized and encouraged change, Ong said. “Without these efforts, the neighborhoods would likely be in far worse economic shape,” according to the report. A renewed commitment to revitalizing the affected areas is critical to reshaping their future economic trajectories. Renewed stakeholder efforts to address development challenges are integral. People and place strategies should be inclusive, driven by local residents, leaders, businesses and organizations. “The lesson of the last quarter-century is that much more work is needed,” Ong said. A section from one of the maps produced by the Center for Neighborhood Knowledge. Researchers at the UCLA Luskin School of Public Affairs’ Center for Neighborhood Knowledge (CNK) have taken that phrase to heart in an effort to determine the impact of voter behavior. Silvia Gonzalez, an Urban Planning Ph.D. student at Luskin, and fellow CNK researchers have gathered data to create a map of all eligible voters by neighborhood in Los Angeles County. That data was then filtered to produce maps showing the percentage of registered voters and actual voters who turn out at the polls. “My doctoral studies focus broadly on understanding patters of socioeconomic inequality, how these are constructed and reproduced in societal, economic and political context,” Gonzalez wrote in her proposal for a UCLA summer research mentor fellowship grant. Gonzalez, who also is assistant director of CNK, said that her interest is in “community power,” including the impact of voting. 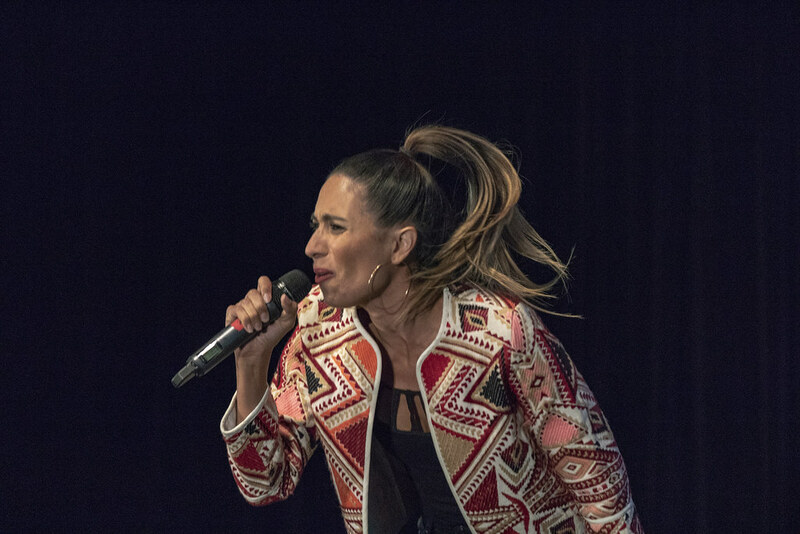 The team has culled data on areas of Los Angeles with various majority ethnic groups, such as Latinos, who represent a significant percentage of the L.A. population. Other areas studied include those with a majority population of Asian, African American, Hispanic and Non-Hispanic White. “This work will help organizations dedicated to political and civic engagement, and will show where there are opportunities to increase those rates,” said Paul Ong, CNK director and professor of Urban Planning, Social Welfare and Asian American studies at UCLA. The data show general trends and also voter behavior within various groups, said Ong, who is serving as Gonzalez’s faculty mentor. For example, by creating a gender parity index that reflects the level of female voter participation compared to men, the researchers studied who is more likely to vote in L.A. County. Turns out that it’s women, following a nationwide trend, according to Gonzalez and her CNK colleagues. Among voters of all ages, the CNK researchers found that in Los Angeles, 52 percent of millennials (ages 21-34) registered in both 2012 and 2015 had not voted in the 2012 election cycle. About 1.1 million were registered in both 2012 and 2015. Actual voting percentages increased progressively in older age categories with seniors (65+) having the highest registration-to-voter turnout ratio, with voters comprising about 75 percent of the more than 850,000 registered in 2012 and 2015. More total millennials were registered, however, so the actual turnout between millennials and seniors was relatively similar in number, according to the researchers. Ong said that this is a long-term project with a goal of building a database and disseminating results that the public will find useful. “We are very interested how political engagement plays out for communities,” he said. The impact of their research on this year’s general election in November may not be that significant, Ong, said, but it may prove useful in the long term. The researchers will integrate neighborhood voting patterns from November’s election as soon as the data becomes available. Team members include Gonzalez; Alycia Cheng, CNK analyst; and C. Aujean Lee, CNK research assistant and Urban Planning doctoral candidate. Data sources for the maps included the October 2015 voter registration roll counts and November 2012 voter history file from the L.A. County Registrar, the 2010-14 American Community Survey population estimates by tract and the 2006 L.A. County Geographic Information System (GIS) data portal. Low population or non-urban areas were excluded. The maps may be viewed online. The mission of the Center for Neighborhood Knowledge is to conduct basic and applied research on the socioeconomic formation and internal dynamics of neighborhoods, and how these collective spatial units are positioned and embedded in the Southern California region. The CNK emphasizes the study of diversity, differences and disparities among neighborhoods, and it explicitly covers immigrant enclaves and minority communities. CNK examines neighborhoods through multidisciplinary lenses and through collaboration with community partners. Equally important, CNK is dedicated to translating its findings into actionable neighborhood-related policies and programs, and to contributing to positive social change. The Color of Wealth in Los Angeles Luskin researchers among co-authors in new study revealing nuanced story of race and wealth in L.A.
A new report examining wealth inequality across racial and ethnic groups in Los Angeles shows substantial disparity with Japanese, Asian Indians, Chinese and whites ranking among the top, while blacks, Mexicans, other Latinos, Koreans and Vietnamese rank far behind. “The Color of Wealth in Los Angeles” is the first report to compile detailed data on assets and debts among people of different races, ethnicities and countries of origin residing in the Los Angeles area. Researchers from UCLA, Duke University and The New School, with support from the Federal Reserve Bank of San Francisco and the Insight Center for Community Economic Development, analyzed data on assets and debts. Assets included savings and checking accounts, stocks, retirement accounts, houses and vehicles, while debts, included credit card debt, student loans, medical debt, mortgages and vehicle debt. Three of the co-authors of the report have ties to the UCLA Luskin School of Public Affairs. Melany De La Cruz-Viesca, the lead author of the report, is a 2002 graduate of the Luskin School’s Department of Urban Planning, and is assistant director of the Asian American Studies Center at UCLA. 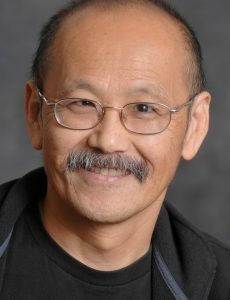 Other co-authors include Paul Ong, professor of Urban Planning, Social Welfare and Asian American studies; and Zhenxiang Chen, a Public Policy graduate student. Also contributing were C. Aujean Lee, a doctoral student in Urban Planning, and Chhandara Pech, a MURP alum and currently a staff member at UCLA’s Center for Neighborhood Knowledge. Racial and ethnic differences in wealth show the extreme vulnerability of some nonwhite households in Los Angeles. 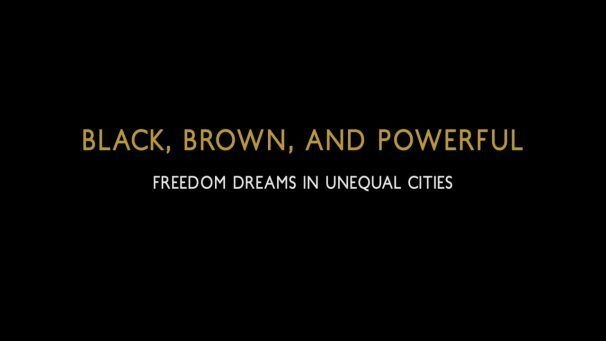 The authors estimate that the typical U.S.-born black or Mexican family, for example, has just 1 percent of the wealth of a typical white family in Los Angeles — or one cent for every dollar of wealth held by the average white family in the metro area. Koreans hold 7 cents and Vietnamese possess 17 cents for every dollar of wealth owned by comparable white families. The median value of liquid assets — those assets that quickly can be converted to cash — for Mexicans and other Latinos is striking, zero dollars and only $7, respectively, while the median value of liquid assets for white households is $110,000. This not only implies financial hardship in the long term, but it also makes families particularly vulnerable to short-term financial disruption, the report states. By 2040, there will be over 6 million more registered Asian American voters in the U.S. than there are today, an increase of more than 100 percent and proof that Asian Americans are one of the fastest growing electorates. 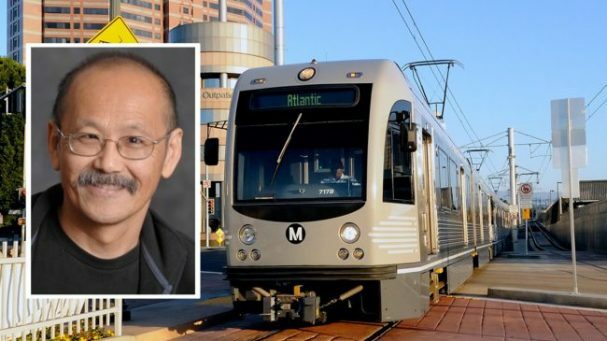 That finding is just one of the results of a new report coauthored by Paul Ong, a professor of Urban Planning and Public Policy at UCLA Luskin with a joint appointment in Asian American Studies. The study explores the implications this growing segment of the population has for the U.S. electorate and upcoming political races through detailed demographic estimations. According to the report, which augmented information from the U.S. Census Bureau, the Asian American electorate will double to 12.2 million in 2040, a 107 percent increase. 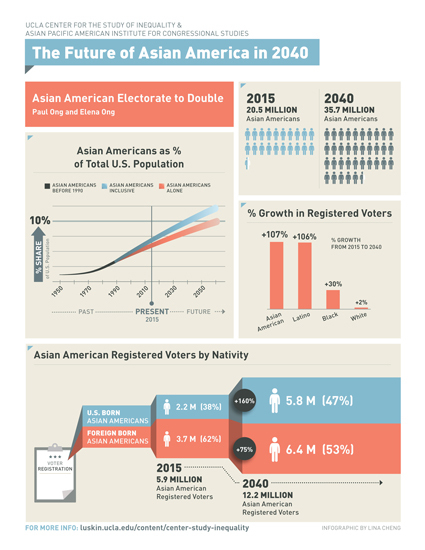 Due to their growing numbers, the Asian American population will have the potential to play a key role in tight presidential elections and close political decisions. The report is the first in a series of publications throughout the year that are expected to cover a broad range of topics including culture and multigenerationalism. The report was prepared in partnership with the Asian Pacific American Institute for Congressional Studies (APAICS), a national organization committed to promoting Asian Pacific American participation and representation at all levels of the political process, from community service to elected office. The report was coauthored by Elena Ong, a consultant to APAICS. “These results provide a context for understanding the relative size and potential impact of Asian American and Pacific Islanders (AAPIs), as well as the current and future roles of (the population’s) leaders in serving two of the fastest growing racial populations in America,” Paul Ong said. In the report, the term Asian American is defined in diverse terms ranging from solely Asian to multiracial Asian Americans with mixed backgrounds in terms of culture, ethnicity, nativity and other factors. According to the report, multiracial Asians will have a larger growth rate of 130 percent versus Asians alone, who are expected to grow by 75 percent. Changes within the Asian American population could also have an impact on the electorate beyond the 2016 presidential election cycle. For instance, while the younger, U.S.-born Asian American population aged 18 to 34 currently constitutes the majority of Asian American voters, the report estimates that by 2040, 57 percent of registered Asian American voters will be over the age of 34. “(Knowing this information) would help elected officials reach out to Asian American voters in a language, and in a communication preference, that is in tune with the Asian American voter’s immigration status and age-cohort,” Ong said. According to the report, the difference in race and age may suggest that the growing population will have different needs, including more emphasis on foreign policy, international relations, trade and immigration to accommodate for the concerns of foreign-born Asian American adults. In 2015, 44 percent of naturalized Asian American registered voters are over the age of 55, but by 2040, 53 percent will be, according to the study. As a result, the youth and middle-aged share of the political landscape will decline. Older, naturalized Asian American voters are likely to demand different needs, such as native-language registration forms, town halls, e-booklets and ballots in order to vote. Conversely, authors suggest that populations under 34 are likely to share U.S. values and advocate for issues such as equality, health care affordability and college affordability, among others. “Given the enormous diversity by age and nativity, along with ethnicity and nationality and socioeconomic class, there is a daunting challenge of creating a common political agenda that unites Asian Americans into an effective and cohesive voting bloc,” the report said. Though the report focuses on political implications, the impacts of the demographic shifts can be extrapolated into other areas of governance. Among other things, these projections are important for understanding the social, cultural and economic dimensions affecting the development of public policies such as new educational programs, English as a Second Language programs, and occupational and social programs for Asian American citizens of all ages. The report, titled “The Future of Asian America in 2040,” is available via the Center for the Study of Inequality, a research center headed up by Paul Ong and housed at the UCLA Luskin School of Public Affairs and APAICS. Commentaries are also hosted there from elected officials and scholars exploring the dynamics of race and politics in America today.